>>>Progressive darling and former presidential hopeful Bernie Sanders puts his imprint on the Berkeley mayoral race by endorsing Councilmember Jesse Arreguin. >>>San Leandro City Council moves to raise its minimum wage to $15 an hour by 2020, two full years quicker than the state mandate of 2022. Starting in July 2017, the city’s minimum wage will bump from $10 to $12 an hour. -A scathing report on Hayward school superintendent Stan “Data” Dobbs, released a day after the school board fires him, shows a negative portrayal of his three years at the helm of Hayward schools. >>>In the wake of 49er Colin Kaepernick refusing to stand during the National Anthem, Oakland Councilmember Rebecca Kaplan chooses to sit during the Pledge of Allegiance at an Oakland City Council meeting. >>>Rep. 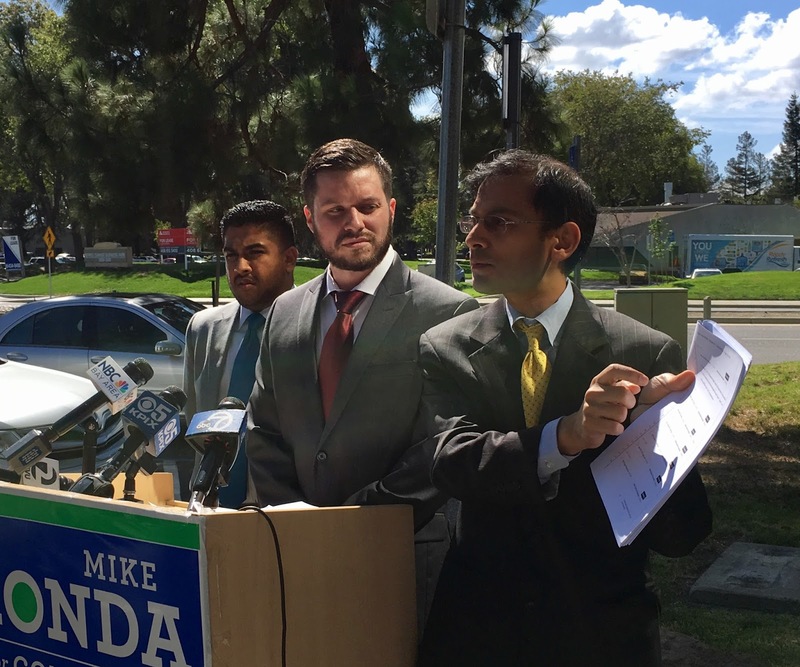 Mike Honda sues Ro Khanna and his campaign manager Brian Parviszhahi for illegally accessing Honda’s digital database containing valuable donor data. Later in the day, Parvizshahi resigns. >>>The race in the 17th Congressional District gets even hotter when Rep. Mike Honda’s campaign calls Ro Khanna a “Russian hacker,” in a press release. >>>Gov. Jerry Brown signs legislation that requires the East Bay’s Eden Health District to spend at least 80 percent of its operating budget on health care-related grants. The fate of the district is still up in the air through the end of the year with hearings possibly leading to its dissolution beginning in late January 2017. >>>The possibility of the Las Vegas Raiders becomes very real after the Nevada Legislature approves $750 million in public financing for a new stadium on the Vegas Strip. The news puts the stadium effort in Oakland into high-gear. -With the hint of a playful smile, Oakland Councilmember Abel Guillen said in response to Councilmember Desley Brooks during a rules committee meeting after she called him spineless for not moving forward with a censure hearing against Council President Lynette Gibson McElhaney for misconduct detailed in a grand jury report. >>>Emails posted by WikiLeaks from Democratic Party insider John Podesta shows Ro Khanna’s campaign sought Hillary Clinton’s early endorsement. Another batch of emails shows Khanna’s campaign also wanted Clinton to appear at his 2015 wedding in Cleveland. 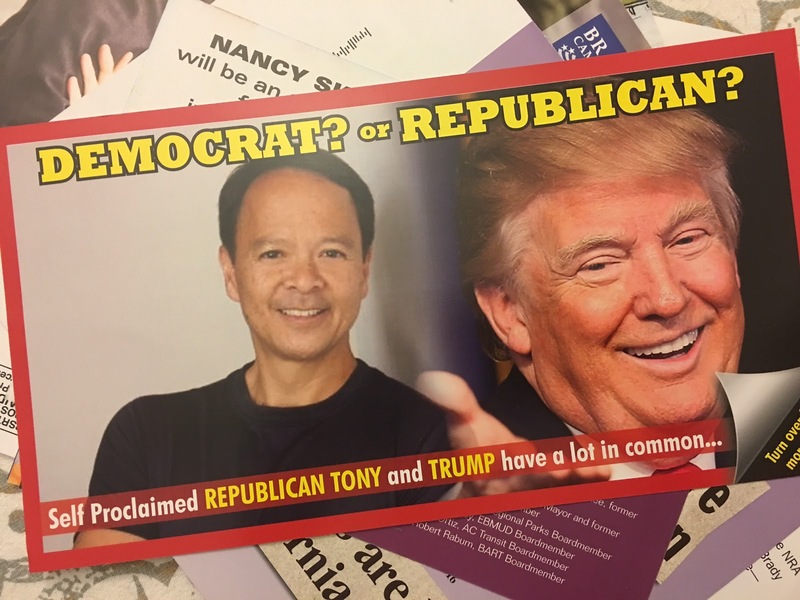 >>>Alameda Councilmember Tony Daysog is hit with a highly negative and likely illegal pair of political mailers sent by a still-unknown group. Neither mailer contained a “paid for” clause. One portrays Daysog as a Republican, the other alleging pay-to-play over campaign contributions. >>>President Barack Obama gets involved in two local East Bay contests when he endorses Democratic 16th Assembly candidate Cheryl Cook-Kallio in late October and then backs Oakland City Council candidate Peggy Moore just days before the Nov. 8 election. Neither does much good on Election Day. 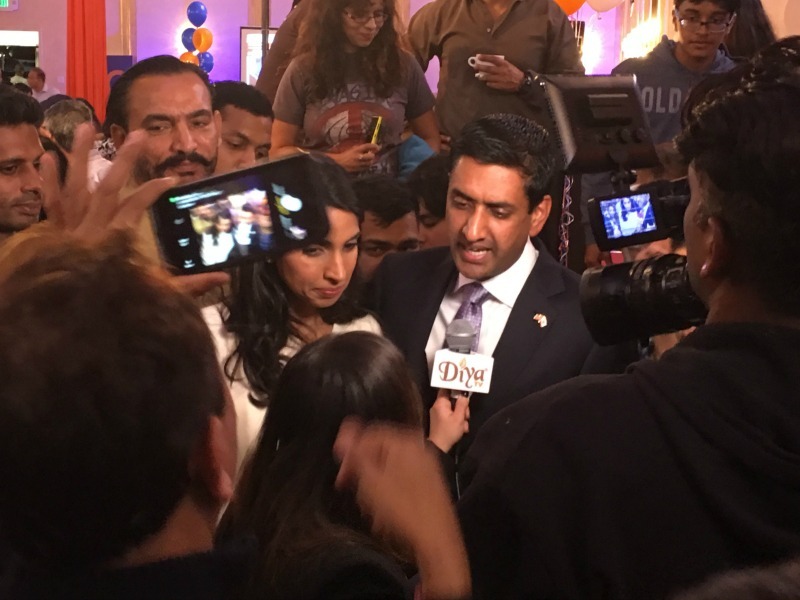 >>>Ro Khanna finally breaks through and clinches a seat in Congress with a decisive 20-point victory over Rep. Mike Honda. He later vows to be one of the most progressive voices in Congress. >>>A ho-hum election in Oakland yields the status quo as the four City Council incumbents all easily win re-election, as does the Oakland school board. >>>Alameda Councilmember Tony Daysog loses re-election and is replaced by the labor-backed Malia Vella. Councilmember Marilyn Ezzy Ashcraft wins re-election, but voters in Alameda strongly cast aside Measure M1, the rent control initiative. >>>Republican Assemblymember Catharine Baker beats Democratic rival Cheryl Cook-Kallio to retain her seat in the 16th District and Nancy Skinner defeats Sandre Swanson to represent the East Bay’s 9th State Senate District. In addition, Jesse Arreguin becomes Berkeley’s first Latino mayor and youngest ever. >>>In Fremont, Lily Mei registers one of the biggest surprises of the local election season by defeating incumbent Mayor Bill Harrison in close race. -State Sen. Steve Glazer during a banking oversight committee criticizing Wells Fargo following its scandal involving the creation of millions of false accounts. >>>Rep. Barbara Lee loses out on becoming vice chair of the House Democratic caucus by just two votes. The post, instead, goes to fellow Californian Rep. Linda Sanchez. >>>Oakland and Berkeley reaffirm their sanctuary city status in defiance of President-elect Donald Trump’s campaign rhetoric involving undocumented immigrants. By years end, Alameda will begin to discuss becoming a sanctuary city. >>>A warehouse fire in Oakland’s Fruitvale District claims the lives of 36 people during a concert event at a venue named the “Ghost Ship.” Many of those tragically killed were part of the city’s bustling music and arts scene. 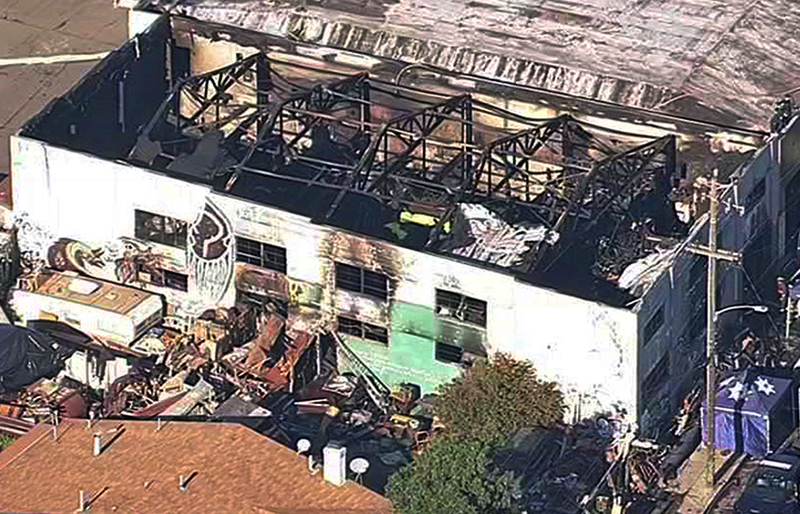 The aftermath of the warehouse fire puts a harsh light on the city’s code enforcement policies, in addition, to the leadership of its fire chief and Mayor Libby Schaaf. >>>Assemblymember Rob Bonta previews his 2017 legislative agenda by unveiling the framework of a bill that aims to reform the state’s bail system. >>>Rep. Eric Swalwell co-authors a bill that could lead to a bipartisan commission for investigating Russia’s interference during the presidential election. -Former Raider Marcus Allen after Oakland and Alameda County elected officials finally unveil the framework of a proposal to build a new 55,000-seat stadium for the Raiders at the existing Coliseum complex. The term sheet with Ronnie Lott’s investment group is approved by both bodies, but it is unclear whether it will pass muster with the NFL or team owner Mark Davis. Posted in 2016 Election, Colin Kaepernick, Daysog, endorsement, ghost ship, Jesse Arreguin, Khanna, minimum wage, Nancy Skinner, Oakland, Raiders, Rebecca Kaplan, sanctuary city, Swalwell, WikiLeaks. Bookmark the permalink. A few months ago, in other words before the Ghost Sip fire occurred, a major Bay area newspaper had an editorial to “inform” and “educate” the general public to the “great wisdom” of drastically raising our taxes so as to increase and improve fire protection. However, we could easily have fire protection at least several times better than we presently do, and for less than half the money we are already spending, by: one, paying firefighters only reasonable salaries and reasonable pensions: and two, getting rid of any firefighters who are extremely lazy and/or extreme alcoholics. Makes me wonder why the arrogant MW didn't become a firefighter if the pay and benefits are so great. Could it be that he was chicken and he didn't want to risk his life and health for the dangerous job. Or maybe, he was just too stupid to pass the test! Ro, Duh Ho, KHAN JOB!